For many prospective investors, one of the biggest challenges they face is financing. In recent years, home loans have been difficult to secure, with banks and major lenders implementing stricter criteria, even for buyers with excellent credit histories. This has made building a portfolio more difficult than ever, and has complicated the entry of new investors into the property market. Here is where affordability comes into play. With low-priced properties, prospective buyers can apply for smaller loans, which often increases their chances of being approved, since the servicing is lower – not to mention, the risk is lower for the lender. “Due to their lower price range, budget properties require a smaller deposit and have a lower mortgage repayment,” says Peter Koulizos, coordinator of Property and Share Investment in the Property Services department at TAFE SA. As advantageous as buying affordable is, however, buyers should be mindful that it’s not a foolproof solution. There are some big risks involved in purchasing budget properties, including that budget properties may be poorly located. Not all affordable suburbs are poor locations, but from an investment perspective, they’re not always located in areas that are overflowing with growth drivers. This could mean your portfolio winds up underperforming on rent and/or sale. The signs of a property’s potential for profit or capital gain include population growth, infrastructure projects and the presence of a considerable rental population. 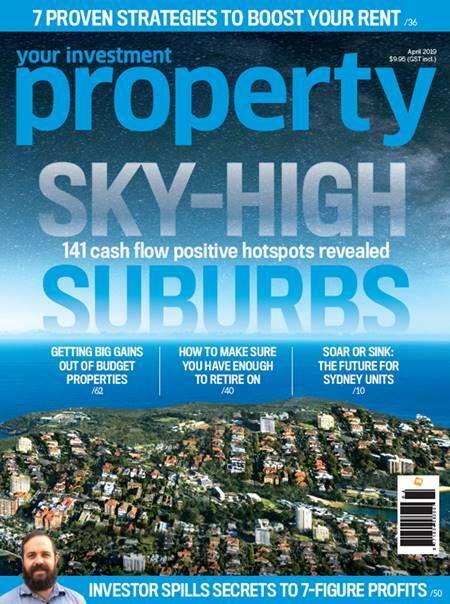 For the complete story, including indepth analysis into the risks of buying budget properties, read the complete feature article in the April 2019 edition of Your Investment Property magazine. On sale at news agencies and Coles supermarkets 14th March to 11th April or download the magazine now.